Who Does The Southwest Rapid Rewards Plus Credit Card Appeal to Most? 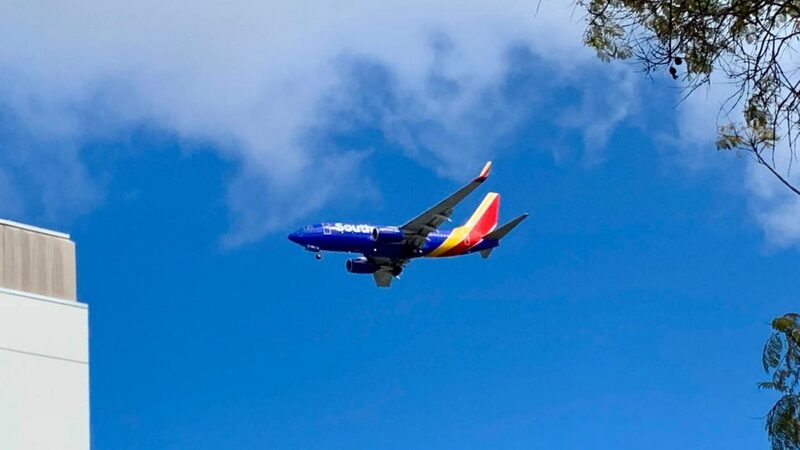 Decision Time: Should You Get the Southwest Rapid Rewards Plus Credit Card? Being able to earn rewards for travel purchases is important to many people. Travel rewards credit cards have become incredibly popular over the years. Many of them offer their customers incredible benefits and most of them will help you to earn free flights when you travel often enough. The uses for credit cards such as this are various and it makes sense to have one if you know you will be traveling somewhat frequently. If you’ve been looking into the travel credit card options, then you have likely seen that there are many to pick from. Some credit cards are associated with specific airlines and this will lead us to today’s credit card that is being examined. The Southwest Rapid Rewards Plus Credit Card is a card that offers its customers many benefits. 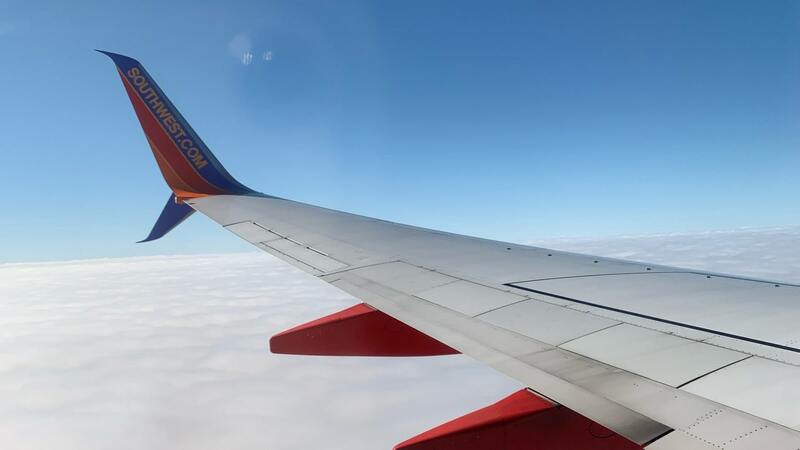 It will be a good choice for many people, but it will be especially rewarding for those who fly with Southwest Airlines very often. To determine if this credit card is going to work well for your needs, it is important to do a bit of research. We are going to look at this credit card from every angle to see how worthwhile it will be for you. It does have a lot to offer and it may work nicely as a travel rewards credit card for many people. Just take the time to read all of the information so that you can make the best possible decision. You will need to pay an annual fee to make use of this credit card. It has an annual fee of $69.00 that you will need to accept. Most people who sign up for this card earn way more than that in rewards so it should not deter you from signing up. This is a pretty reasonable fee when compared to many of the comparable travel rewards credit cards on the market. The Southwest Rapid Rewards Plus credit card has a fairly normal APR that should not leave you feeling too bad. It’s basically within the normal ranges that you expect when signing up for a rewards credit card. This cards APR is not overly high and should not really hinder you in any way. It definitely is not exceptional either, though. There are several potential fees that you need to be aware of before signing up for this credit card, too. There is a balance transfer fee of 5% with a minimum fee of $5.00 attached to it. This is a little bit higher than some credit cards, so you may wish to avoid transferring a balance to this card. Since the APR is nothing to write home about, this is not something that you will likely want to transfer a balance to anyway. You will also notice that this credit card has associated foreign transaction fees. You will need to pay a 3% fee on every foreign transaction that you make. This can be kind of inconvenient for anyone who travels outside of the country. If you plan on using this card while traveling abroad, then you will need to be prepared to pay this fee. One neat aspect of this credit card is that it has a really good sign-up bonus. You can earn a hefty chunk of points by spending a certain amount of money within the first three months. The amount of money that you need to spend is fairly low, so earning this sign-up bonus will be very simple. This can allow you to redeem some rewards points very early on after getting the card, so it makes it worthwhile to sign up. This credit card also has a convenient companion pass feature after you have earned 110,000 points. This companion pass feature allows you to have a companion fly with you for free and you will only need to pay associated taxes and fees. This will work every time that you are redeeming points for a flight. It is a fantastic feature that allows you to make the most of your travel rewards. This card has good customer service and security standards as well. You should be able to feel safe about using this credit card. If you have trouble at any time, then the trustworthy customer service agents will be ready to assist you. You can use this card without having any problems by relying on the 24/7 customer service availability. You will need to call though, since there is no online chat option. This credit card comes with some handy benefits for cardholders. One benefit that you will use all the time is that you will be allowed to have two free checked bags on flights. This makes it easier to take your luggage with you when you are traveling while avoiding high fees. You will get a lot of use out of this little perk. Another important benefit is the lost luggage insurance. If your luggage is lost or stolen, then you will be able to be reimbursed. The credit card also comes with baggage delay insurance. This can be helpful for when your bags get sent to the wrong city and you may wind up using it from time to time as a regular traveler. Travel accident insurance is another helpful benefit that you can rely on. This keeps you safe in the event of an accident while you are traveling. Travel and emergency assistance services are also available to you when you need help. This may be a fairly standard benefit, but it is still an important one. Other traditional benefits include car rental insurance, extended warranty protection, and purchase protection. If you want to have a card that has good standard benefits, then this one will suit your needs well. It offers most of the benefits that you would expect out of a good travel rewards credit card. It may lack some luxury perks that certain people will hope for, but it has good benefits for a card of this tier. This credit card has a fairly robust rewards program that you will really enjoy. You are going to be able to earn two points for every $1.00 that you spend on Southwest Airlines purchases. You will also earn the same 2X rate for purchases made at Rapid Rewards hotel and car rental partners. This makes it very easy to earn points for travel expenses. You will also be able to earn a standard 1X point rate on all of your other purchases. If you use your credit card to buy food, then you will at least still be earning points toward your rewards. These points will stay with you until you decide to redeem them, too. You will not have to worry about any of your earned points expiring before you get the chance to use them. Redeeming rewards is a very simple process when you use this credit card. You will be able to redeem your points for airfare or you can use them in a variety of other ways. Points can be used for rental cars, cruises, gift cards, and so much more. It will be pretty easy to use this card to its full potential and you will likely rack up points fast if you travel regularly. One positive that helps this credit card to stand out is that the redemption options for your rewards are very robust. You will be able to redeem your earned rewards for airfare, hotels, cruises, car rentals, merchandise, gift cards, and more. Having so many options will allow you to truly use your earned rewards however you see fit. Redeeming your miles will always be a simple process, too, so this is a customer-friendly experience through and through. You will never have to put up with any annoying blackout dates when making use of this card. You can book your flights for any date that you need to. There are no exceptions and it will be practical to fly during even the busiest times of the year. Being able to use your earned miles whenever is an excellent benefit that not all air travel credit cards can boast. Points that you have earned will never expire either. It can be a true nuisance when you are forced to use your points before you are ready. Since the points never expire, you can simply continue to save them up as you see fit. It keeps the control in your hands and allows you to redeem the points whenever you are ready. Not having to deal with any change fees or booking fees is a truly nice perk as well. Little fees can start to add up after awhile and will inconvenience you. This credit card avoids many of the most troublesome fees and keeps the experience as streamlined as it can be. If you hate change fees and booking fees, then you will love knowing that this card does away with them. You will also be able to earn unlimited rewards seats using this credit card. Some similar credit cards will cap the number of seats that you can earn. This is not the case with this credit card. If you like rewards seats, then this is going to be a very welcome benefit. This credit card has an annual fee of $69.00 that you will have to contend with. It is not an unusually high annual fee or anything, but it is still there. If you do not like having to pay annual fees to your credit card company, then you will want to think twice about signing up for this card. The annual fee is justifiable, but some will prefer to avoid it. You will also see that this credit card has a slightly high APR. The APR of this card is going to be a little bit higher than some comparable cards. This will mean that you will want to avoid carrying a balance on this card if you are able to help it. It is only a bit high, but you still do not want to have to pay out more money in interest than you have to. The fact that international flight options are limited with this card is a bit of a letdown. You will not have as many potential destinations when you are flying with Southwest Airlines. There are still several countries that you can travel to, but you will not have the full breadth of international travel options that you may have hoped for. This may really disappoint you if you are the type who travels out of the country a lot. Also, the travel perks could be a little bit better. This credit card does not offer any travel perks that truly stand out as being superb. There are some good standard perks, but none that will truly wow you. If you sign up for credit cards based on the practicality and helpfulness of their benefits, then this card may let you down just a bit. The most obvious downside to this credit card is that you can only book flights through Southwest Airlines. This airline does not have any partners either, so you will be somewhat limited with your redemption options. 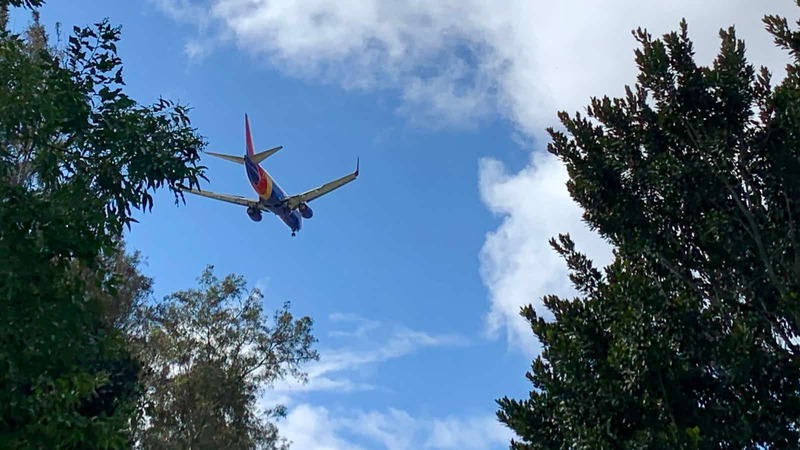 If Southwest does not fly to a particular place, then you will not be able to use your earned rewards towards your trip. You will need to be comfortable with what Southwest Airlines has to offer before signing up. Gaining access to this credit card is definitely not going to be easy for everybody. You are going to need to have a truly excellent credit score to qualify for this credit card. A score of 720 or higher is recommended. You should definitely take the time to check where your credit score is at before you make the decision to proceed. As you might expect, this is a credit card that is going to appeal to people who travel a lot. If you do not travel all that often, then you may not feel like you can take full advantage of what this credit card has to offer. This is a good card that can give you many travel rewards that will be useful to you. Even the benefits of the card are geared toward improving your travel situation. This also has a specific appeal to those who are loyal to Southwest Airlines. If this is your preferred airline, then you will want to sign up for this credit card. Those who have all of their miles with another airline are going to be less interested. You will need to be loyal to Southwest Airlines to make the best use of this credit card so be prepared to fly Southwest if you make the decision to sign up. The rewards potential of this credit card makes it practical for people who just need a rewards card, too. It will help you to earn rewards at a steady pace while having access to several neat benefits. This is a good card that certainly warrants consideration. The Chase Sapphire Preferred Credit Card may be a good option for you to consider. It will offer you 2X points when you spend money on travel and dining. It has many great redemption options for your rewards points, too. When you redeem your points for airfare, hotels, cruises, and car rentals through the Chase Ultimate Rewards hub, you can increase the value of your redemptions by 25%. It is possible that the Chase Sapphire Preferred Credit Card will be more lucrative than the Southwest Rapid Rewards Plus Credit Card. This will depend on how much you can take advantage of the particulars of each card. Both of them are very good credit cards to have in your wallet, but the Chase card will give you some leeway with which airline you are choosing to travel with. Southwest happens to be one of the Chase transfer partners, so the Sapphire Preferred can earn Southwest miles. Overall, the Southwest Rapid Rewards Plus Credit Card is a good option for frequent flyers. If you travel a lot on business or if you just love traveling for recreation, then this card may be for you. You will be able to earn a lot of lucrative rewards over time simply by using this credit card. If you fly often enough, then you will be able to save yourself some money on your travel expenses by using this card right. There are a few negatives about this card that may make it less than perfect for some. Even so, this is an option that will appeal to so many different people. If you are a Southwest Airlines customer already, then it makes sense to add this credit card to your wallet. It will simply make your traveling experience easier for you and it is something that you should have, so long as you can qualify for it.